The Chicago Sun-Times Media Group has been named 2013 Special Olympics Illinois Outstanding Media of the Year. 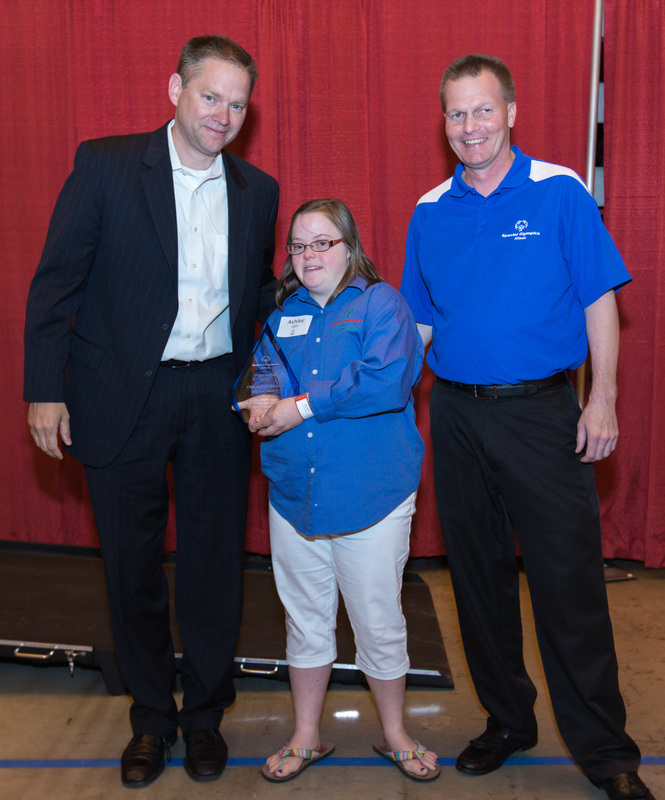 Jim Kirk, Editor-in-Chief, accepted the award at a reception held on June 14 before the Special Olympics Illinois Summer Games Opening Ceremonies at Illinois State University in Normal. The Outstanding Media Award recognizes an individual or organization that has helped communicate and/or promote Special Olympics Illinois and the achievements of its athletes, coaches and volunteers locally, Area-or statewide through news features and/or other presentations. The Chicago Sun-Times has been a supporter of Special Olympics Illinois for many years. It has been the print sponsor for the Windy City Rubber Ducky Derby – an event that raises hundreds of thousands of dollars for Special Olympics Illinois – since the event was established in 2006. Each year, the Sun-Times has run a series of color ads to promote the Ducky Derby in the Chicago Sun-Times, as well as in the Sun-Times Media Group publications that cover surrounding suburbs (Naperville Sun, Joliet Herald-News, Southtown Star, Pioneer Press and Lake County News-Sun). The Sun-Times has also given exposure to the Ducky Derby on its website and encouraged employees to get involved by adopting ducks for Special Olympics Illinois. In 2012, select Sun-Times Media Group papers also were the media sponsors of South Cook-Will/Area 7, the Polar Plunge in Joliet, the Law Enforcement Torch Run Truck Convoy in Tinley Park and the Run WITH the Law event in Glenview. Last fall, The Sun-Times Foundation and the Chicago Community Trust provided a matching grant of $15,000 for contributions made to support the 5th Annual Inspire Greatness Gala. The Chicago Sun-Times news staff also covers Spring Games in the city of Chicago and other competition and fundraising events. In August 2009, the Chicago Sun-Times even featured a Special Olympics athlete on the front page of the paper and donated 5 cents for every issue sold.